Tainted candy is the best way to ruin someone’s night. Have you ever had your pumpkins smashed? Your housed egged or TP’d? Your mailbox vandalized? Me neither, but I’m not just gonna wait for those punks to do it. Sometimes you need a preemptive strike, a way to put the neighborhood kids in their place. Whether you’re malicious or just bored this Halloween, let me share a few recipes for a good night (for you anyway). A classic recipe is a caramel-coated onion passed off as a caramel apple. I thought this could use a bit of a twist because who the hell hands out caramel apples? Simply take some Cadbury Eggs and very carefully remove the foil. While you enjoy your millimeter thick wall of chocolate with a quarter pound of caramel filling, get some chocolate melting on the stove. Dip a rotten egg in the chocolate, let it dry and wrap in the foil. Guaranteed to clear a room. 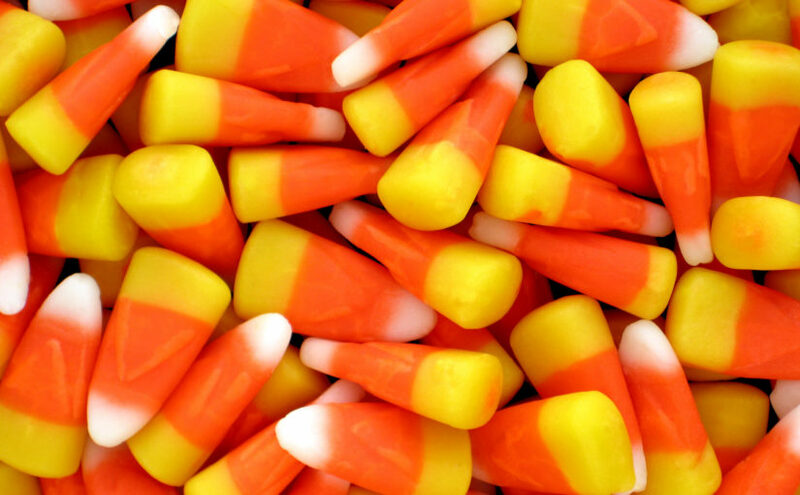 The simplest candy you’ll ever find. Just sugar to pour down your throat, but it’s fine because it’s blue. Honestly, it’s not even real candy, so let’s put them to good use. To the unsuspecting, it will just look like you have pixie sticks covered in stickers because you like to spice things up. Well, they’re not wrong, but the spice isn’t so much Halloween spirit as much as salt or cinnamon (dealer’s choice). Make a hole. Make the switch. Cover the hole with a sticker. Easy peasy hard to breathe-y. This one is more targeted at the parents, to be honest. Make some toast then scrape and mix crumbs into your candy bowl. Ideally, when the little snots grab a hand full of Butterfingers they’ve got the bread to go with it. This is based off of the idea that every kid ends their night the same way: dumping their whole haul of candy onto the living room floor. For a similar effect, one can put motor oil on Hershey’s Chocolate Bars. While more effective, this comes with the slight risk of poisoning children and therefore requires at least a moment of consideration before making a slick snack. That’s it. If you hand out popcorn as Halloween candy, you are actually the worst. I’ve heard of this strategy for uhh … recreational purposes … but I feel it has an untapped practical use. Simply fill a tall glass with vinegar and add gummy bears. The bears will soak in the delightfully disgusting acid and those kids will never eat salt and vinegar chips again. Simple and to the point. While one of the more expensive ones on this list, it takes the least prep to get the desired effect. It probably tastes like rubber bands and sweat, but kids will eat just about anything that comes in a wrapper. As an added bonus, you’ll also be the favorite house in the neighborhood next year. Just be ready for a long line of shaking and irritable kids. So as you sit at home this Halloween, thinking about the chaos you’ve caused and snacking on recreationally soaked gummy bears, try to remember this feeling. This feeling of content. This feeling that life, given time, will fall into place just right. Because you will not feel this way tomorrow. You will have a mob of angry parents at the door you won’t be answering. Just remember this feeling, and it will all be worth it. Well, probably.